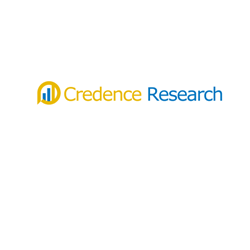 According to the latest report published by Credence Research, Inc. “Breastfeeding Accessories Market- Growth, Future Prospects and Competitive Analysis, 2017-2025,” the global breastfeeding accessories market was valued at US$ 1,055.7 Mn in 2016, and is expected to reach US$ 2,129.9 Mn by 2025, expanding at a CAGR of 8% from 2017 to 2025. Significant upswing in women employment rate, growing consumer awareness, disposable incomes and improvement in healthcare system in developing countries is expected to result in rising demand for breastfeeding devices and accessories. It is reported that working women have higher disposable incomes and lesser time to nurse newborns. Furthermore, stringent rules prohibiting the advertisements of breast milk substitutes and establishment of international marketing codes on breastmilk substitutes further contributes to proliferating trend of breastfeeding in the developed markets. Among the considered product types, breastmilk storage and feeding supplies segment is expected to continue to dominate the global market. Increasing adoption of breast pumps in both working and at-home mothers to collect and store breastmilk for later use due to favored convenience, availability of compact storage bags, low costs are the major demand stimulants. The demand for both disposable and reusable nursing pads and breast shells is also expected to pick pace during the forecast period. Soothing products such as salves, ointments and packs are anticipated to carve significant demand during the forecast period due to growing awareness among the consumer groups across all the demographics and growing marketing initiatives by manufacturers. The demand for breastfeeding accessories is observed to already reach at maturity point in the developed countries. This market will witness noticeable growth in the emerging markets of Asia Pacific and Middle East and Africa on the foreground of growing awareness in consumers, rising disposable incomes, and exceptional rise in the number of working mothers. Growing awareness regarding benefits of breastfeeding for both mother and child and corresponding initiatives take up by private and government organizations for the same will further fuel the demand for breastfeeding accessories over the forecast period. The overall business scenario in breastfeeding devices and accessories has visibly evolved over the past 15 years. Technological evolution, growth in range of product offerings, incorporation of novel raw materials, and evolution of reimbursement policies have been the major recent developments in the breastfeeding and accessories market. Some of the major players operating in the global breastfeeding accessories market are Ameda, Inc., Artsana Group, Handi-Craft Company, Koninklijke Philips N.V., Medela LLC, Medline Industries, Inc., Nuby, NUK USA LLC, Pigeon Corporation and Tommee Tippee. Kommentar hinterlassen on "Breastfeeding Accessories Market 2018 – Global Industry Size, Industry Share, Market Trends, Growth and Forecast to 2026"